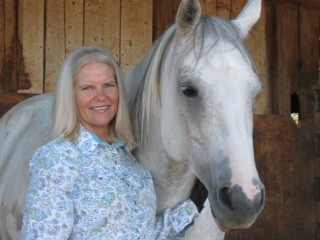 As a coach/mentor Kathleen enjoys helping mental health professionals, coaches and EFL professionals find their authentic selves and assisting them in re-igniting the original blue print of their souls. 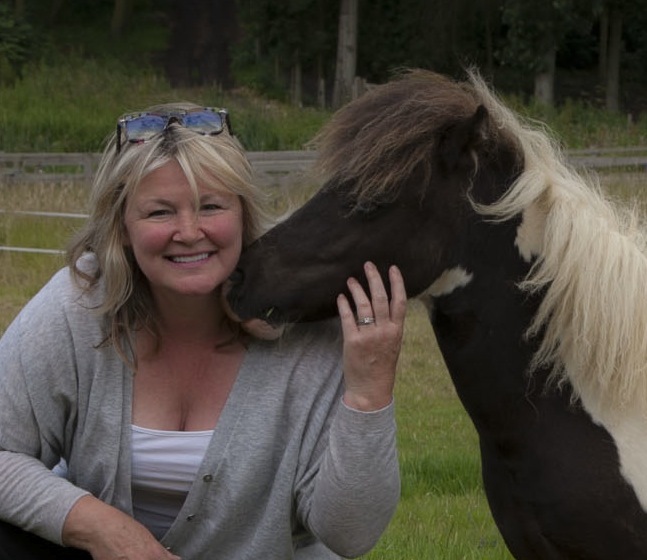 She uses her 30+ years of experience as a professional counselor, addictions specialist, systems therapist and equine facilitated learning practitioner as her personal toolbox when assisting others. Kathleen is also certified through the Pathfinders Institute in Short Term Dynamic Psychotherapy and am a board certified Coach. Coaching and mentorship are co-creative processes with the client and the coach. Not traditional psychotherapy, coaching and mentorship are a relationship where both parties are responsible and accountable for their own feelings, decisions and actions. Coaches and mentors- working as detached partners- see their client’s strengths and vulnerabilities and assist them in obtaining desired changes and outcomes. The coach/ mentor’s experience, passion and knowledge can enhance the client’s life by “holding the sacred place of possibility” which is a fully conscious, present state that is unattached to outcome or personal beliefs. This holding allows Kathleen to feel into her client; be with them in the space between the words, and be with them in the moment. Seeing and listening with the heart engages both parties in an adventure where the full essence of the other can be heard and supported. 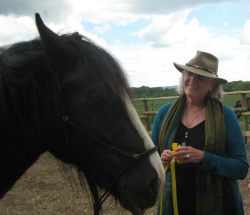 This advanced learning opportunity is for those wanting better understanding of the science and psychology underlining the wisdom of the horse. 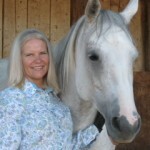 Kathleen wants to assist qualified individuals in a one on one mentorship program which will emphasize the most recent research on the importance of relationships in learning; the limbic system; implicit knowing versus explicit knowledge; and the latest scientific information available to validate and affirm the intuitive knowing received from the horses. 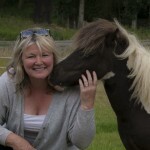 The recent advancements in brain science, psychological studies on relationships and the importance of connection with nature support the work with horses. The following facilitators have completed the Mentorship in Equine Facilitated Learning and you can contact them directly for an experience or to hear what this program has meant to them. “I absolutely cannot put into words the value of Kathleen’s program, her years of wisdom, and generous heart. She is truly in this work to make a difference. Kathleen is the consummate heart felt professional, offering incredible structure, background, and documentation as a platform for her mentorship students. But from there, she is able to truly be with and understand all the challenges of the learning that might come up and holds your sacred space in such a way the you soar to your accomplishment and knowledge in this work. 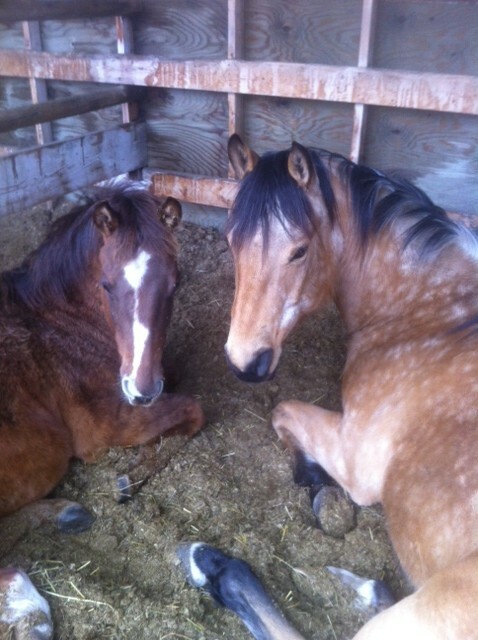 Since I was already an accomplished horsewoman, the ability to do this work remotely allowed me to get the training I needed. I loved being required to do write ups of each horse/client session and then review and have feedback on my results and learning. The program, as it is structured, allows for so much more doing and experiencing, than other programs with huge manuals and tons of paperwork. I am a big believer in experiential learning, and Kathleen’s mentorship program is set up to do just that. 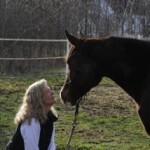 I am amazed at how incredibly fruitful the horse sessions are for my clients. “Working with Kathleen in the Advanced EFL Mentorship has been a grounding and fruitful experience, both professionally and personally. 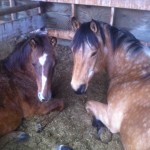 With having a lifetime worth of horse experience, and training in both the EAGALA and Epona Equine Facilitated Learning models, I was on my way in this field. But I had this nagging feeling …. 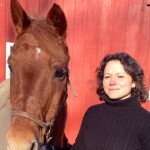 that I needed more… instruction, guidance, and oversight from an “expert” as I began my foray into this work with horses. I am so grateful for Kathleen! Grateful hat I “found” her and that she has been so willing to educate and support me. 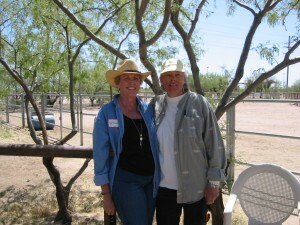 “My experience with Kathleen in EFL training was phenomenal. 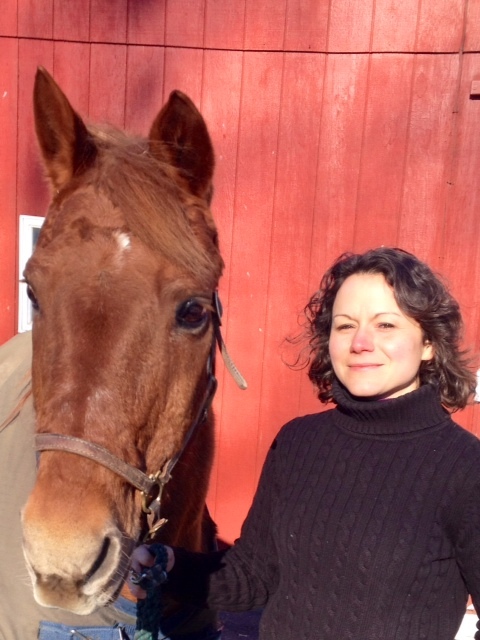 Theo (my horse partner) and I undertook this wonderful journey with Kathleen as my first practice client! The program that Kathleen provides was as challenging and thought provoking as any of my past graduate work. The first day I met Kathleen there was an instant connection. The program is one on one with personalized training that was perfect for me. 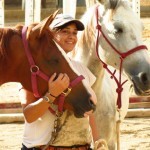 “My experience in Kathleen’s mentorship program was truly life changing. 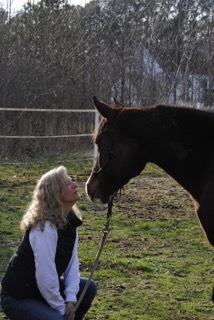 The thought-provoking reading assignments and consultations profoundly expanded my awareness of the equine facilitated learning field, in addition to transforming my overall understanding of human relatedness and connectivity. 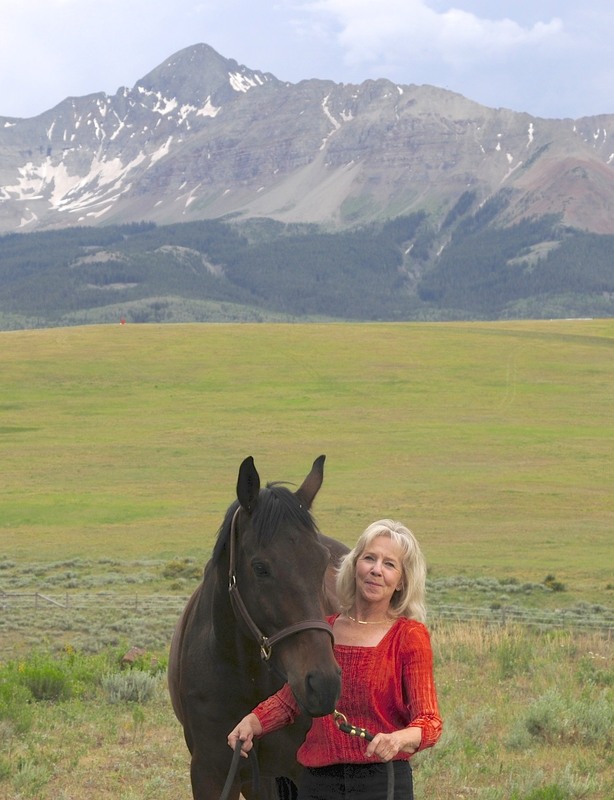 Her incredible wisdom of the healing potential of the horse-human bond, in addition to Kathleen’s vast background as a psychotherapist and her incredible knowledge and passion of neuroscience resulted in numerous discoveries and “a-ha” moments. 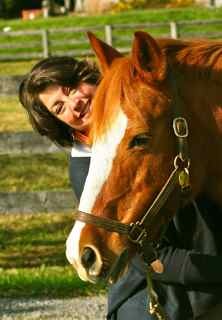 Her professionalism and incredible dedication to ethical practice and client / equine well-being and safety is truly admirable. 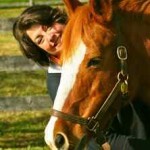 Despite her pioneering status in this field, Kathleen is approachable, humble, down-to-earth, and easily accessible. Kathleen’s teaching style is both supportive and challenging, ensuring a rich and progressive learning experience, no matter your background.Her amazing dedication and passion to this field is truly inspiring, and her “beginners mind” approach to life is remarkable. The knowledge and wisdom Kathleen has imparted upon me has been inspiring throughout our time together. Even though Kathleen is widely acknowledged as one of the “grandmothers” of EFL, she is humble, approachable, sound and easily reachable. I cannot thank her enough for giving me the framework to enable me to get the best out of my work with horses and humans together. 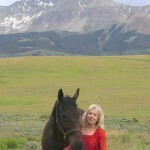 I now feel I can offer an experiential process which is rich in human learning and healing. I can also seek to take the psychological, physical, emotional as well as social and spiritual needs of each individual into account and to promote wholeness and authenticity in all aspects of a person’s being. The mentorship program is the most gratifying experience and has given me so much more than I expected. In the six months Kathleen and I have worked together, I have completely changed the way I offer my business, redesigned my service and expanded my client base. I never expected to achieve so much in such a short space of time. 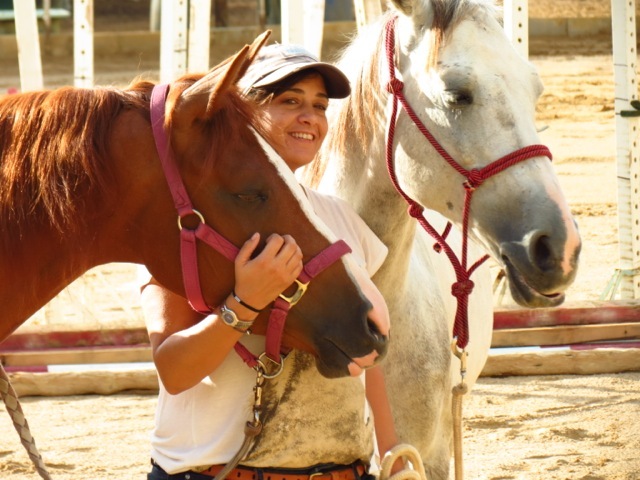 “I originally embarked in the mentorship program for Equine Facilitated Learning and what I received was much more than that. The mentorship program with Kathleen has been life changing to say the least. After spending over six months learning from her the model of EFL, I find myself today in an completely different zone within my life and my work which I never expected to reach when I signed up for the program. 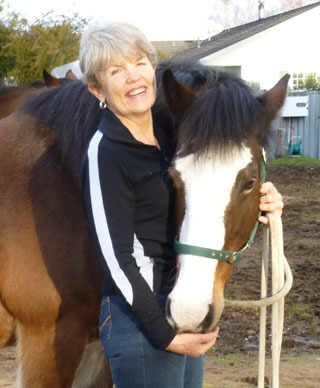 Kathleen’s supportive, encouraging, motivating and “holding” nature as well as her extensive knowledge and experience opened the doors to a lifelong dream. The video above chronicles Hayat’s personal journey after completing my mentorship program and IFEAL facilitator training. Kathleen Barry Ingram, MA, BCC had a private counseling practice in Tucson, Arizona for 16 years and decided to move towards life coaching as a way to encourage, motivate and enhance people’s lives. She understands and adheres to the highest ethical standards and refers any client who needs a mental health professional to an appropriate source. She maintains her supervisory relationship with Steven Bupp. 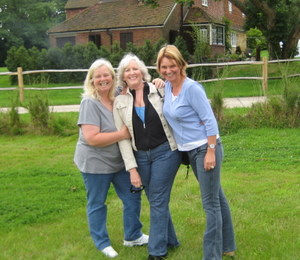 MD, who has guided and mentored her throughout her career.